Let me introduce you to the exercise video that made it all happen for me. Now, my mom is a Richard Simmons fanatic, something that used to make me throw my head back and roll my eyes. However, he was on to something with making fitness fun with good music and positive motivation. It's just that...Simmons just isn't for me. So, I went digging a little deeper in our VHS cabinet for a workout video circa 1980-something. See, my family was not fitness or nutrition-conscious at all. It's amazing that we even owned a workout video, but that's another story. 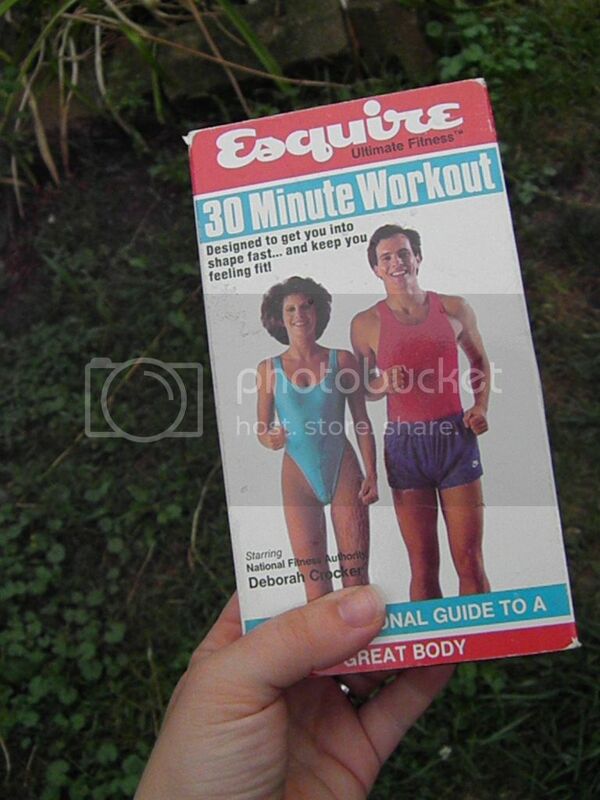 When I decided to begin my fitness journey, this was the only resource available to me, aside from some equally-old Jane Fonda workouts at the library. So, I did it as often as I could, and it provided a nice baseline endurance level for me to make the leap into running. There was a lot of running in place, aerobics and body-weight exercises in that video, like you might expect. I realize now that all I ever needed was a pair of running shoes, but it never occurred to me to run. I thought I hated running. I was still too close to those horrid memories of the ill-fated gym class mile. I credit this video with getting me started in my fitness quest. I always felt so good after I worked up a sweat and felt that stretched-out feeling in my lungs. This is where the endorphin rush originated for me and got me hooked. I wonder what the story is behind my mom buying this video in the first place....Ah, another story. My husband and I recently weeded through our video collection and decided, reluctantly, to let go of our VHS movies (am I that old?). I just had to get one last picture of this hallmark fitness tool before I sent it to the thrift store. What a memory!